Taking inspiration from parks found in cities like New York and London, the second iteration of Shoe Park was infused with a plethora of greenery and exploratory birch wood structures. 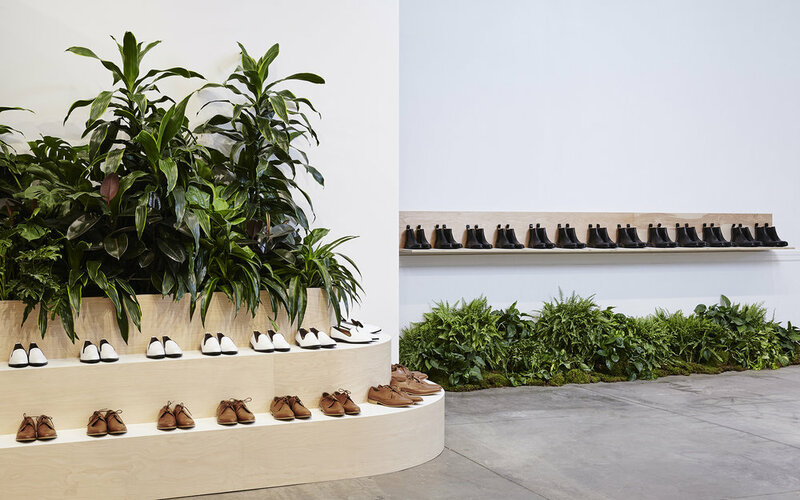 Partnering again with set designer Robert Storey, we created an installation-like backdrop for customers to discover, try, and buy Everlane's new shoe collection. 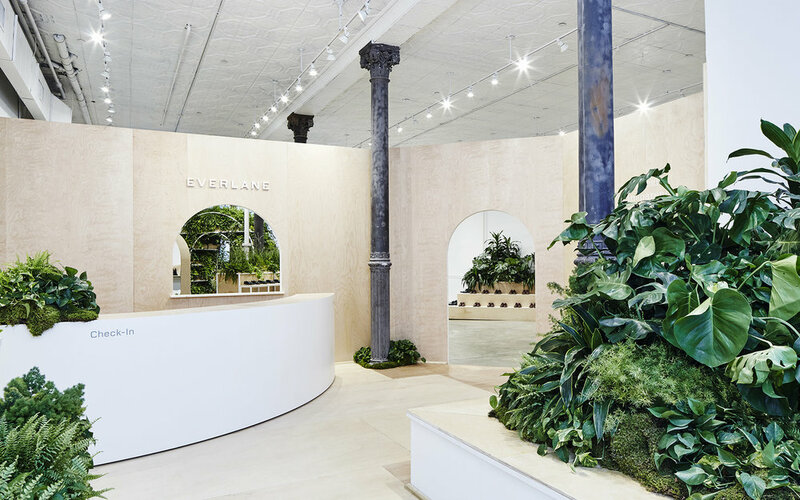 To further reimagine the experience we focused on brand partnerships as a key component, curating and collaborating with brands such as Glossier, Blue Bottle and Sight Unseen on an in-shop coffee bar, beauty bar, and ongoing events.